Photo by Megan Pacer/Peninsula Clarion Karen McGahan, a member of the Nikiski Citizens Incorporation Study, addresses a crowd during a town hall meeting to discuss plans to incorporate Nikiski on Tuesday, May 31, 2016 at the North Peninsula Recreation Center in Nikiski, Alaska. The study group has been researching the possibility of incorporation for about two years. The unincorporated community of Nikiski may soon be headed down the path to becoming its own city. Several Nikiski residents have been looking into the feasibility of the community incorporating for about two years. Three of them presented the findings of their study group, called Nikiski Citizens Incorporation Study, at a town hall meeting Tuesday night at the North Peninsula Recreation Center. “We have been the Cinderella in the borough’s story for a really long time,” said Amber Oliva-Douglas, a relatively new group member who helped moderate Tuesday’s meeting. Study group members hope to bypass the status of a first- or second-class city and head straight to home rule. Group member Karen McGahan, who was originally in favor of one of the former, said this is because home-rule cities operate with the greatest amount of local power. “That was the one that had the strongest voice for the people, but it would have to go before the voters before they could change (it),” McGahan said. Soldotna voters recently elected a seven-member charter commission that will spend the next year coming up with a home-rule charter for the city. Since Nikiski is not yet incorporated, the group members did not have to go through the same process as the charter commission members in Soldotna. The group is not a commission required to hold public meetings throughout the charter writing process, but group member Stacy Oliva said they do plan to hold more town hall meetings to involve Nikiski residents as much as possible. About 70 people turned out for Tuesday’s meeting to hear what the group had to say. Study group members said they plan to have a draft charter up on their website, nikiskiinc.org, within the next six months. A full list of the study group members is also available there. Right now, the group has identified the boundaries of the Nikiski Fire Service Area as those the proposed city would follow. This includes the communities of Tyonek and Beluga. Oliva said the study group has made contact with Tyonek, but the conversation has not yet progressed past an introduction of the plan to incorporate. “It was just an introduction of what our group is working on, and introducing the idea and letting them know that they are included in that service area and we want to invite them in … to have a voice,” she said. The group members envision a six-member city council, with an elected mayor providing the seventh vote. A major motivator for the push toward incorporation is to keep funds raised through Nikiski’s four service areas for fire, roads, senior citizens and recreation services spent locally in Nikiski rather than spread throughout the borough. Member Jack Porter presented that Nikiski property owners currently pay about 10 mills in annual taxes each year, with about 4.5 mills going to the borough for schools, solid waste and other services, and the rest going into the four service areas the residents voted to tax themselves for. If Nikiski incorporated, Porter and the other members argued, funds collected through the service areas would guaranteed to be spent locally. In order to get the ball rolling, the study group members need about 300 signatures on a petition, which is up on its website. If those are collected, the petition would go to the Local Boundary Commission, which has the final say over whether the question of incorporation could go to the ballot for residents to vote on. 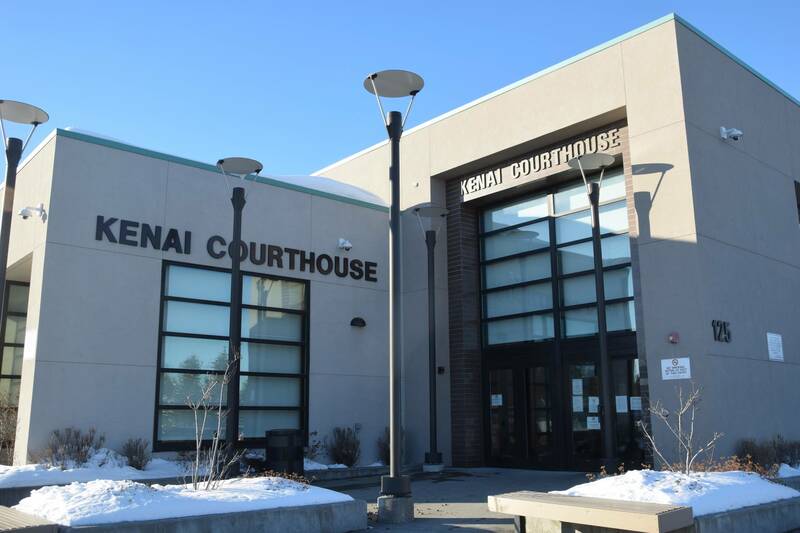 Matt Mead of Landye Bennett Blumstein Attorneys in Anchorage, who the group members hired to advise them on the technicalities of incorporating, said the commission generally takes one to two years to come out with a final decision. Members of the study group have been paying for things like the town hall, legal advice and consultants out of pocket, they said. The question of incorporation would then go before voters. If Nikiski incorporated, the study group members said they plan to enact a home-rule charter for the would-be city. The charter could only be changed by a vote of the people, they said. The main tenets of the home-rule charter would be that Nikiski would not exercise zoning authority, and that no ordinances restricting livestock or the number of vehicles residents can have would be proposed for the time being. The charter would also seek to maintain the freedom to exercise Second Amendment rights and to use area trails for ATV’s and other activities, the group members said. Under a home-rule charter, the group would not seek to establish a separate police force for Nikiski, a decision the members said stemmed from the fact that Nikiksi residents voted down efforts to create a law enforcement service area twice in the past. The Alaska State Troopers would continue their services in the area whether or not Nikiski incorporated, the group members said. The study group pulled from home-rule city charters from around the state and country for ideas, and also included research on a town in Georgia called Sandy Springs that incorporated and privatized nearly all of its municipal services by contracting them, they said. Oliva said the group introduced the their plan to Kenai Peninsula Borough Mayor Mike Navarre on Tuesday before the town hall. This was the first time they officially presented the idea to the borough administration at that level, she said. “It was actually a very positive reaction,” Oliva said of the meeting, adding that the group discussed with Navarre what their next steps will be. Several residents at Tuesday’s town hall expressed concern about what impact the potential Alaska LNG Project could have on plans to incorporate. They also worried that the process has not been inclusive enough of the 6,000-some people who live in the area. The members presenting said another town hall will be held in the future. Contact members of the study group at info@NikiskiInc.org.